Get ready for a serious case of closet envy! 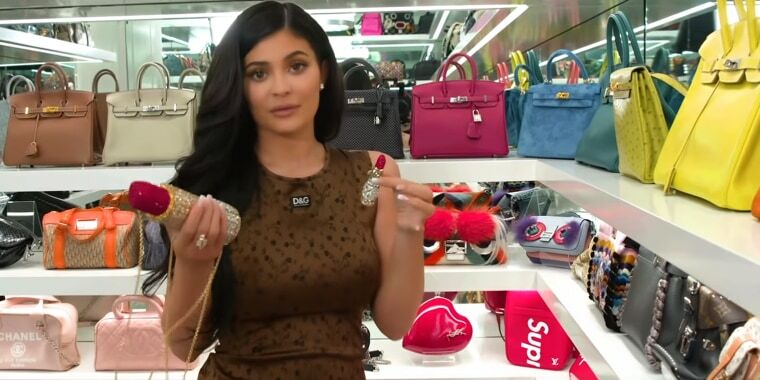 While some of us aspire to one day fill a massive closet with high-end fashions and accessories, almost-billionaire Kylie Jenner is already living the dream — and then some. In fact, for the reality TV star turned makeup maven, one dream-worthy closet just doesn't cut it. The 21-year-old has separate digs for each category of her fashion-forward collection, and this week she offered her faithful followers a video tour of her expansive handbag closet. "This is pretty much where I keep all my purses," Jenner said in the three-minute clip she shared on YouTube. "I made a little room in my house and I did this all custom, so they all could have a little home and be lit up really pretty." A little home might be a little understatement. The mirror-backed shelves hold rows and rows of designer bags that carry a collective price tag in the millions. And if you have any doubts about that tally, just take a closer look at her Hermes shelf. Make no mistake, that's not a shelf that only holds a couple of the brand's five to six-figure Birkin bags — it holds dozens of them. "My favorite row would definitely have to be the Hermes row," she confessed as she showed off the set. "I have been collecting these bags for a minute. They're also a great investment." Especially her matte-white Himalayan Niloticus crocodile Birkin — often referred to by collectors as "the holy grail." "If my house was on fire, I would take this one out of all of them," Jenner said while eyeing the rare bag. The closet also houses rows of Chanel, Fendi, Louis Vuitton, Dior and Prada — as well as some precious childhood memories. 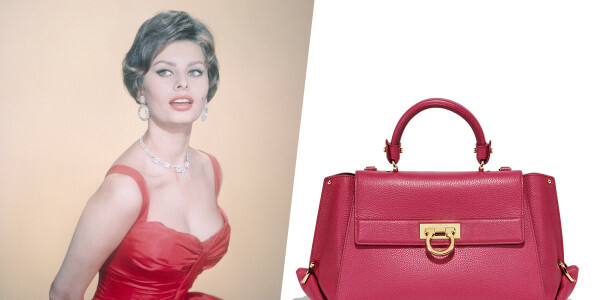 Take a look at the women who have inspired handbags throughout history. Some of the bags were part of a matching set that mother Kris Jenner gave Jenner and sister Kendall Jenner when they were both kids, and those wee purses — in addition to a tiny Hermes compliments of big sis Kourtney Kardashian — are already earmarked for another little girl. As soon as Kylie's daughter, 6-month-old Stormi, is ready to carry her old enviable accessories, they'll be ready for her.